Mackerel is one such fish that is super easy to cook, extremely tasty and very healthy! For adults and children alike ! 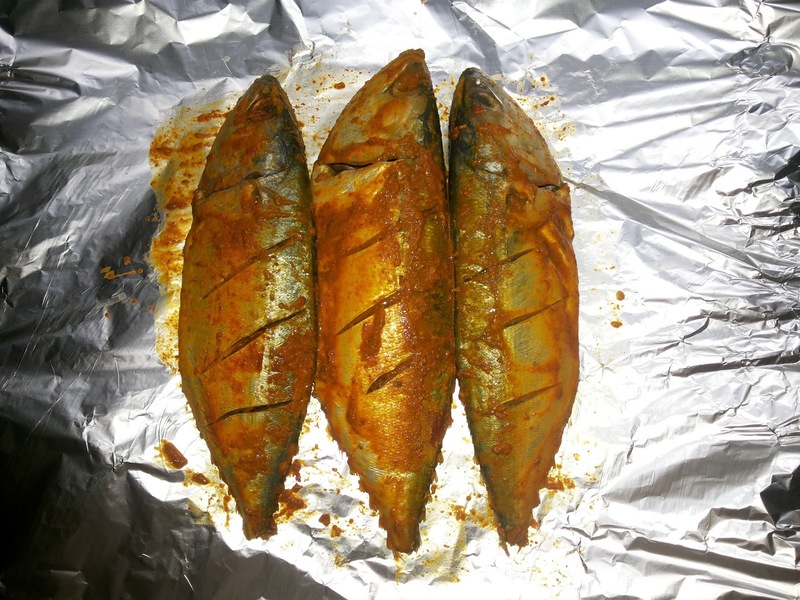 Mackerel, known as bangada in hindi, is one of the most widely consumed fish variety in India. 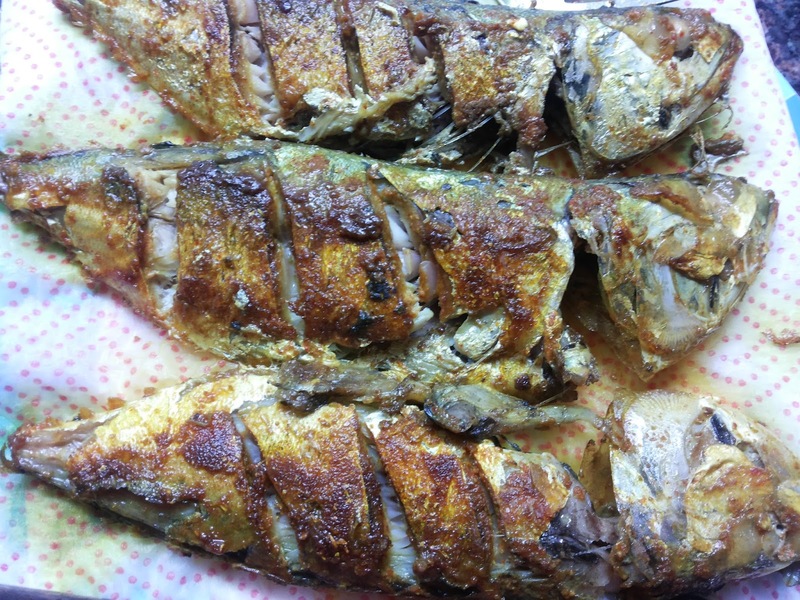 Although bangada fry and curry are most preferred options, health conscious people can consume this fish in baked, steamed or grilled form. Packed with omega-3 fatty acids and high amount of proteins, eating this fish provides a wide range of health benefits. Preventing heart attacks, lowering the risk to diabetes and controlling ones blood pressure are just some of the health benefits. This recipe is the simplest of the lot! 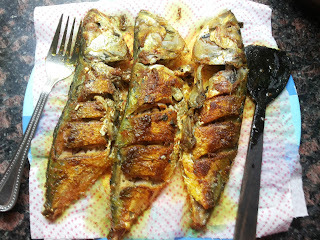 I have marinated the mackerels and then pan fried them till they are crispy on the outside and soft on the inside. Pan Fried Mackerels tastes best with DHAN-DAR (click for recipe) which is Parsi style split yellow pigeon peas (tuvar dal) (arhar dal), some sweet pickle and crispy poppadum’s! Clean and wash the Mackerels well. Make deep slits on both sides of the mackerels. Make a marinate by mixing together the turmeric powder, chilli powder, garam masala and salt. 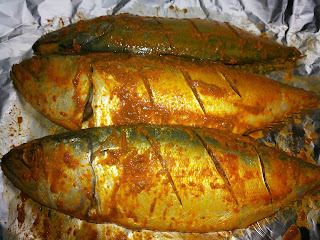 Apply it evenly all over the mackerel. Heat the oil in a non-stick frying pan and fry on medium heat till golden on both sides.